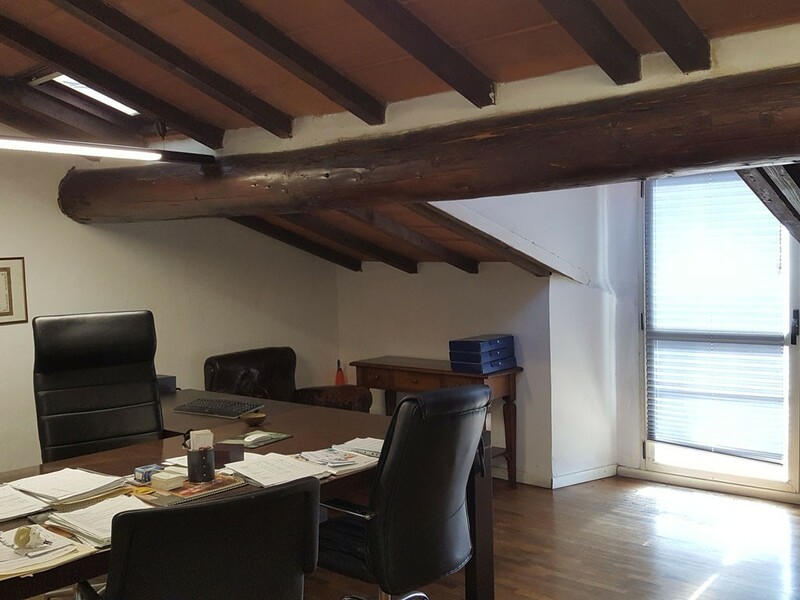 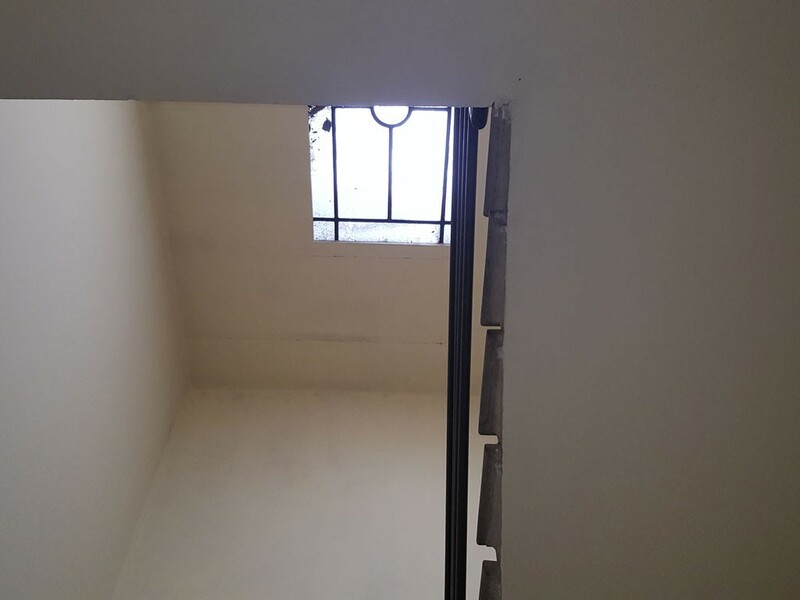 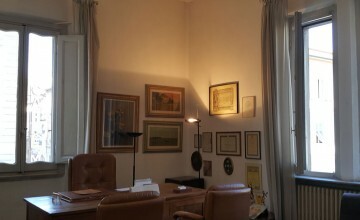 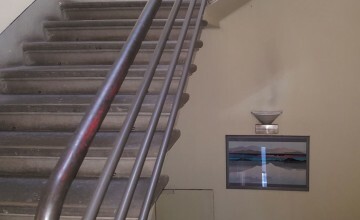 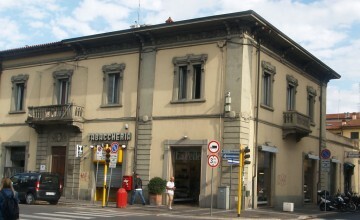 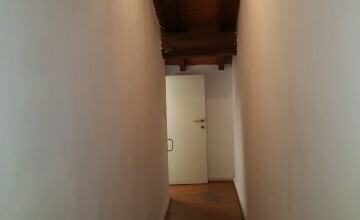 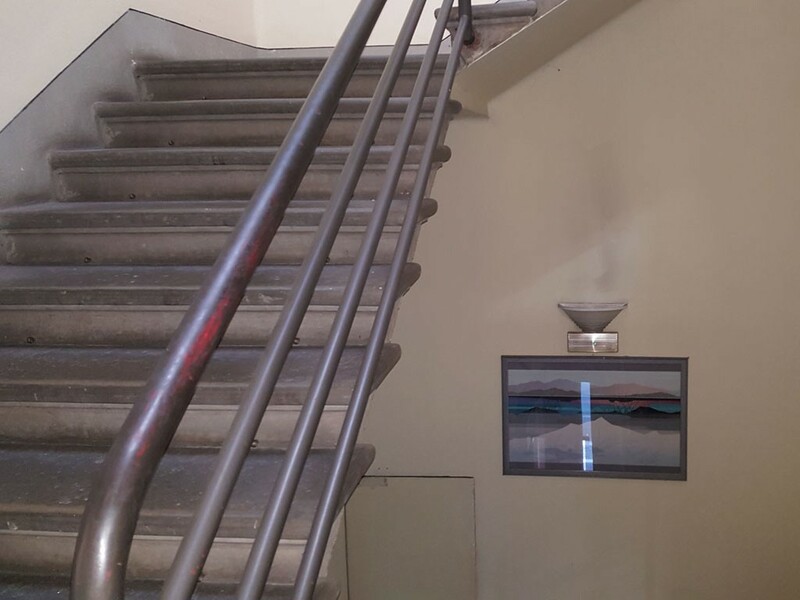 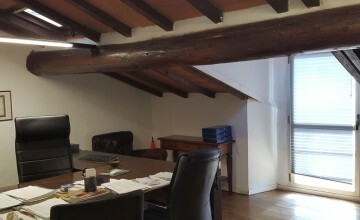 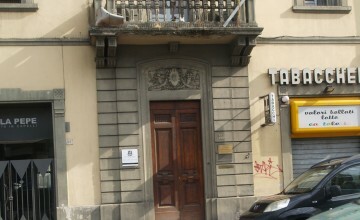 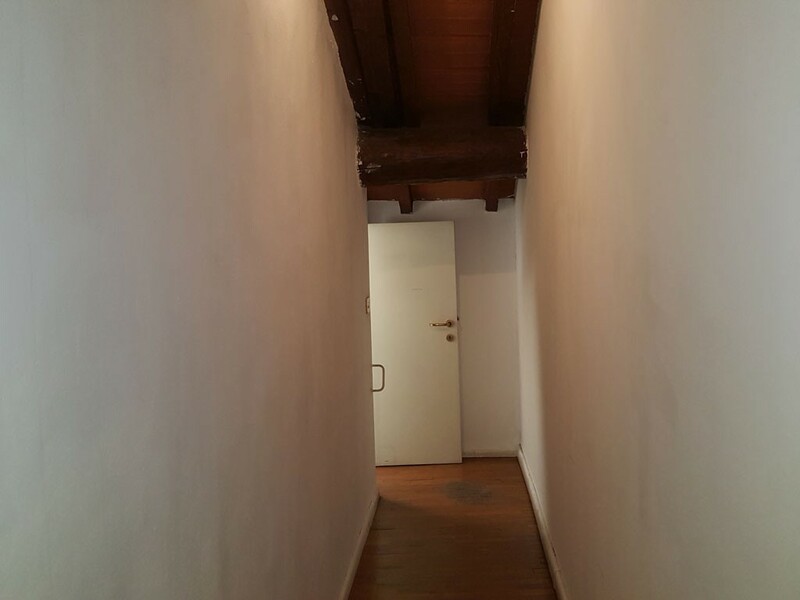 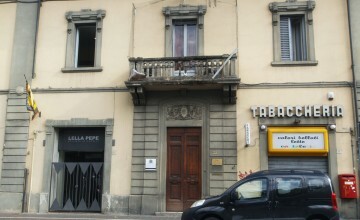 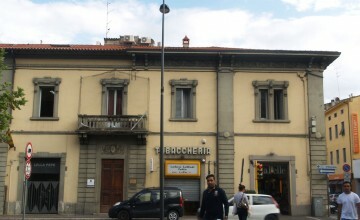 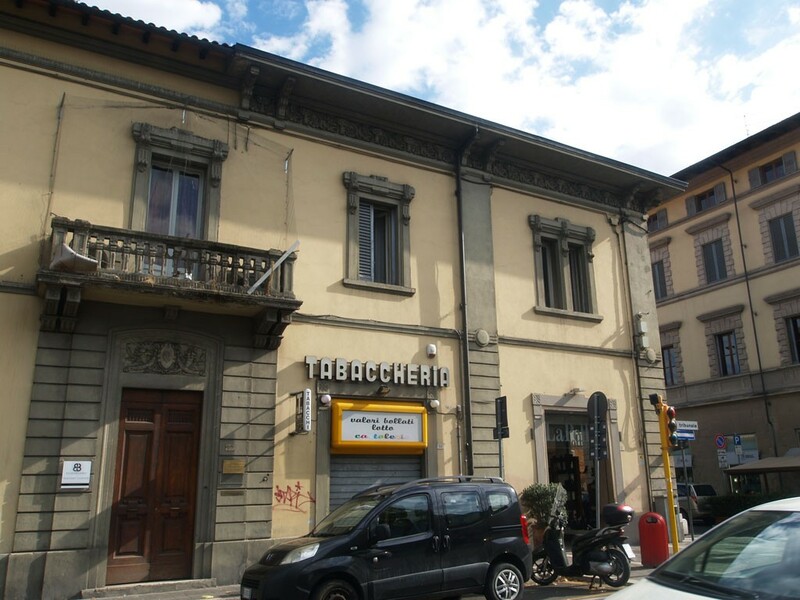 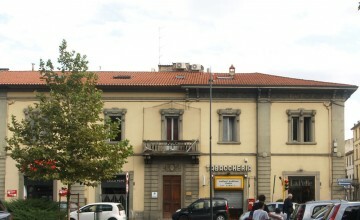 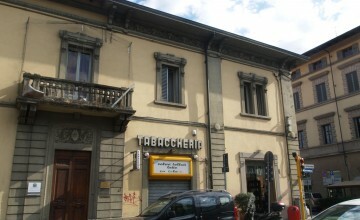 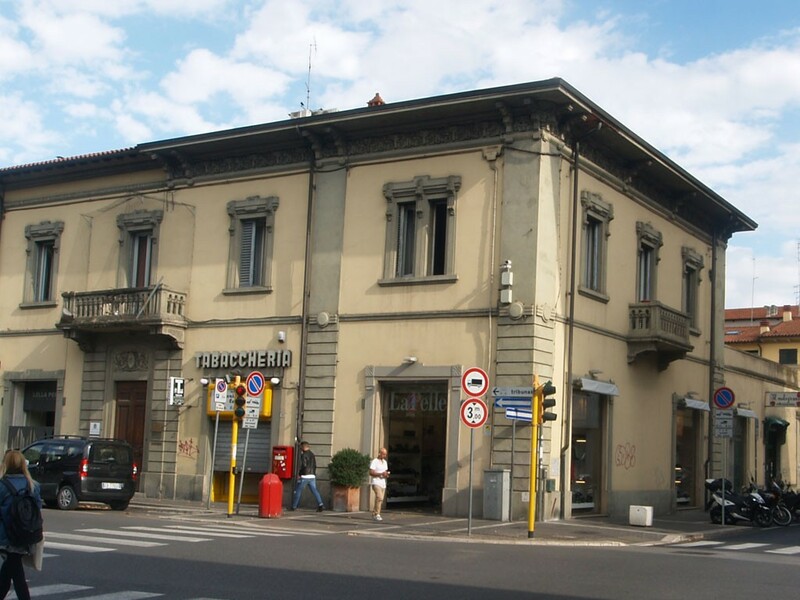 The property occupies part of the ground floor, first floor and second floor of a 20th century building standing at the junction of two commercial and prestigious streets of the town. 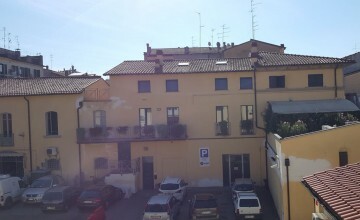 It has a large parking space where it is possible to park 8 -12 cars, depending on their size. 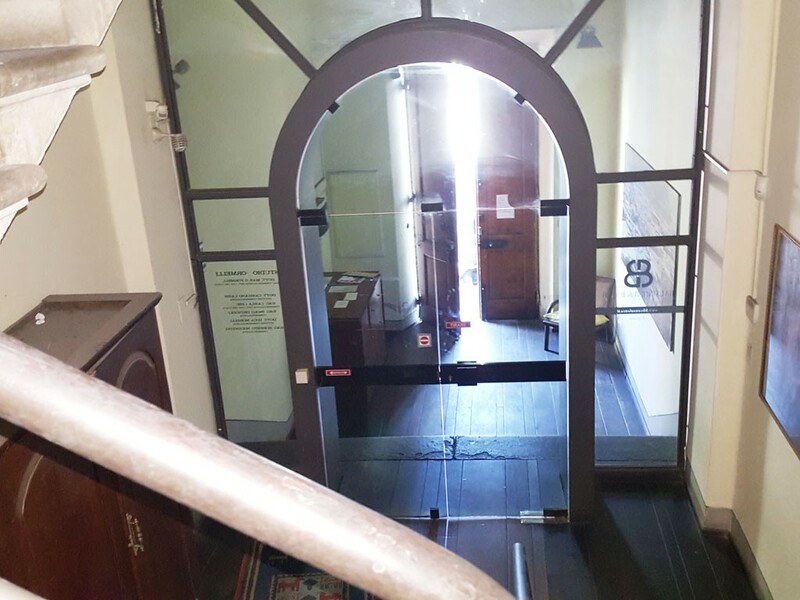 An exclusive, private entrance door leads to the hall on the ground floor from where a large staircase in stone give access to the upper level. 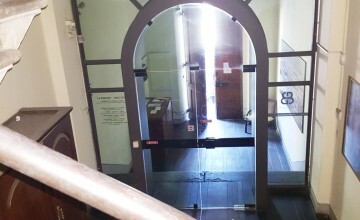 In the back of the ground floor there is a cellar, store and exit to the court with the private parking. 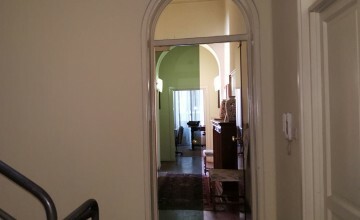 First floor features high ceilings and large windows. 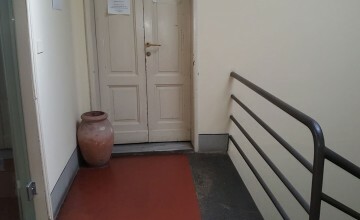 There are seven rooms here and two bathrooms. 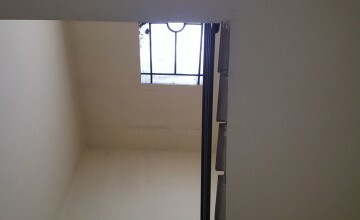 Second floor has five rooms and a bathroom. 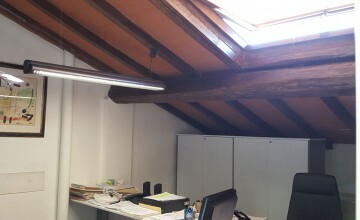 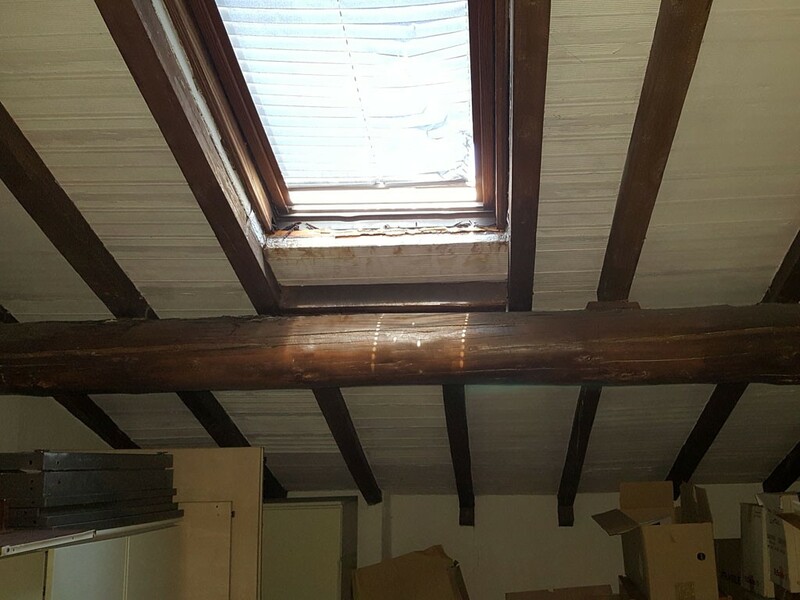 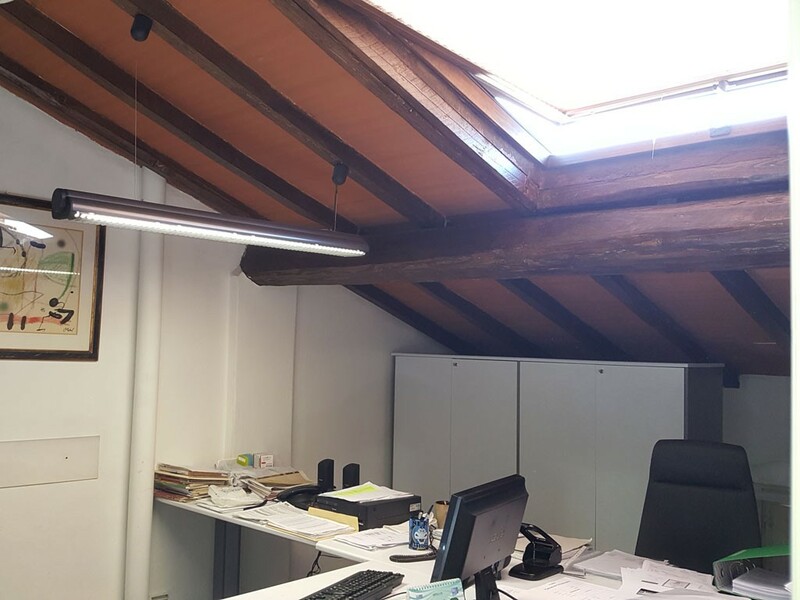 This level has fantastic exposed beams with skylights. 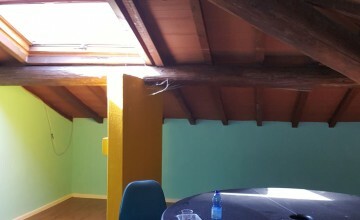 Floors are in wood or terracotta. 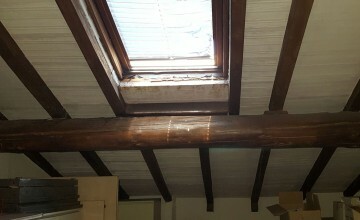 The property has central heating and air conditions. 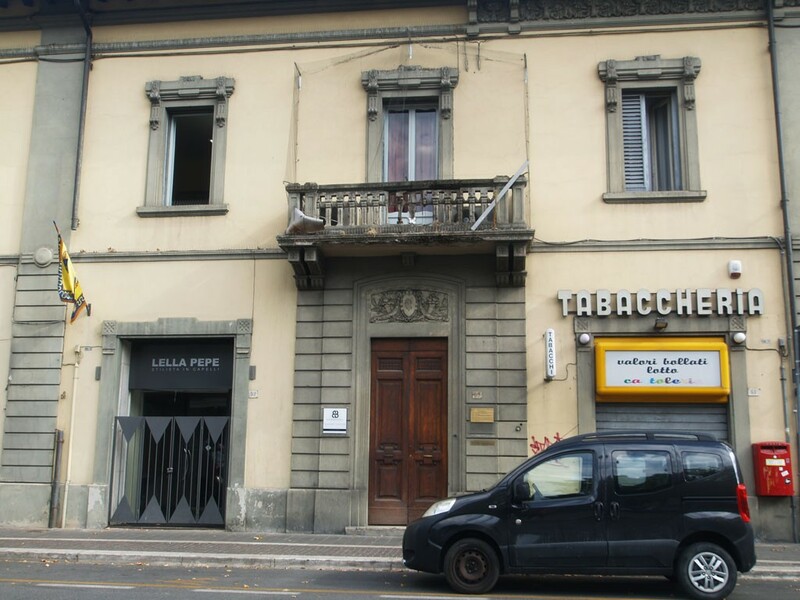 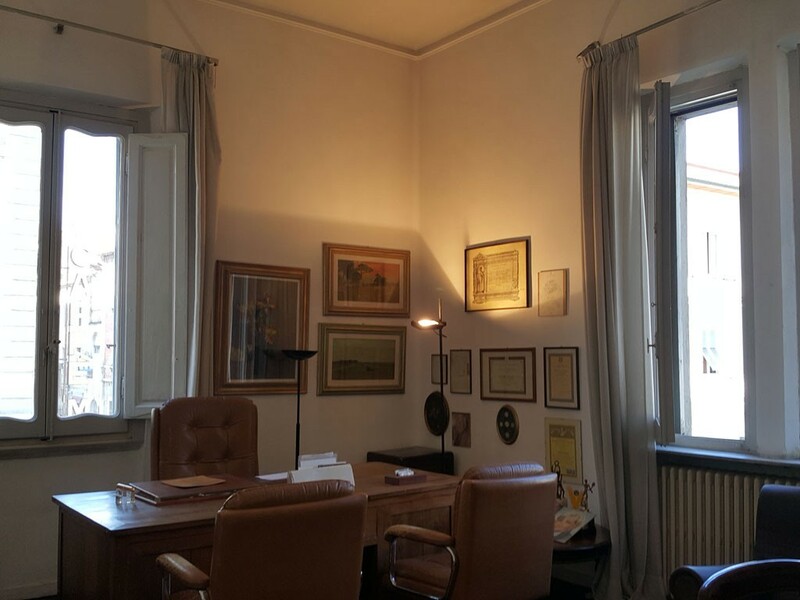 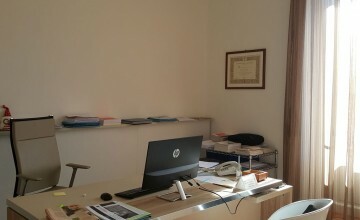 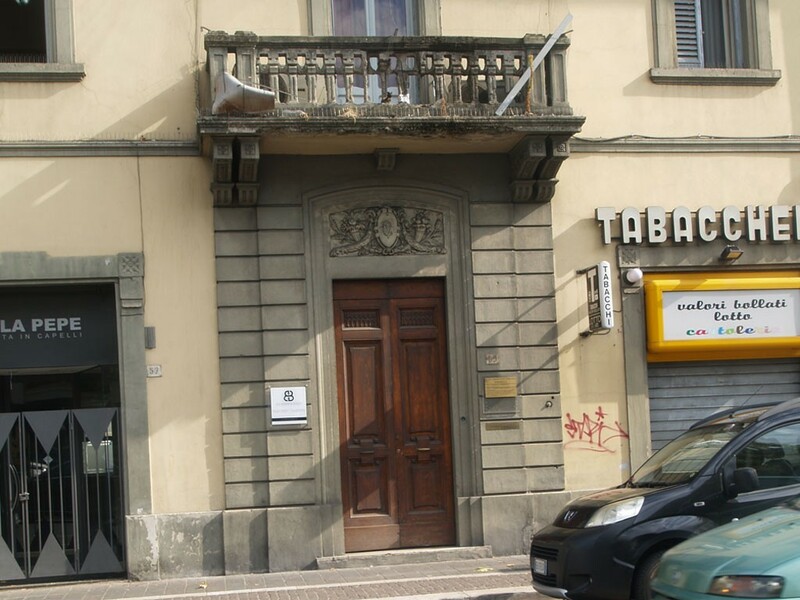 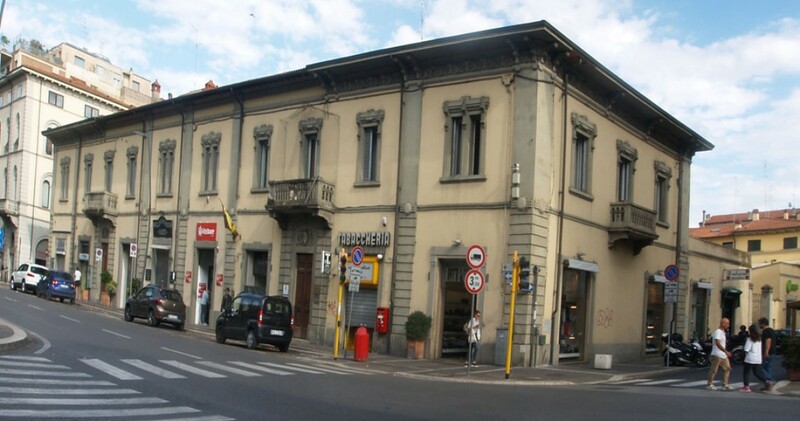 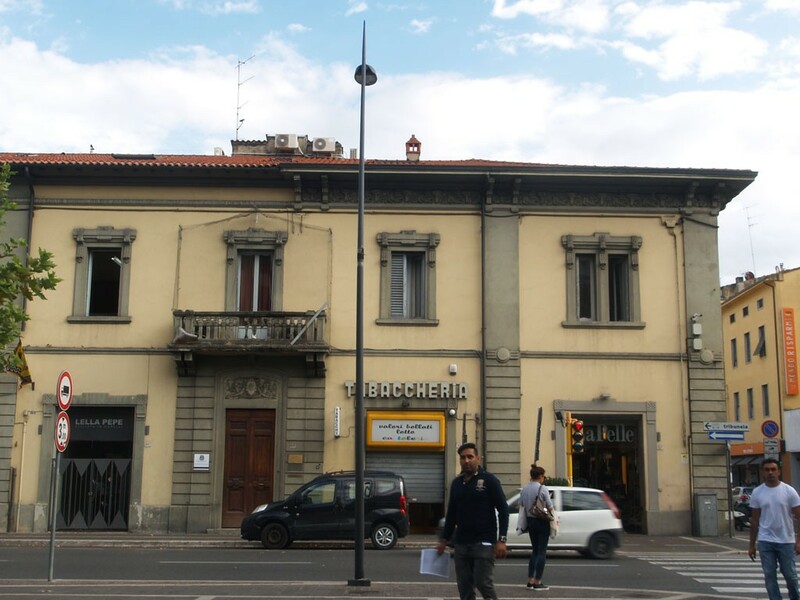 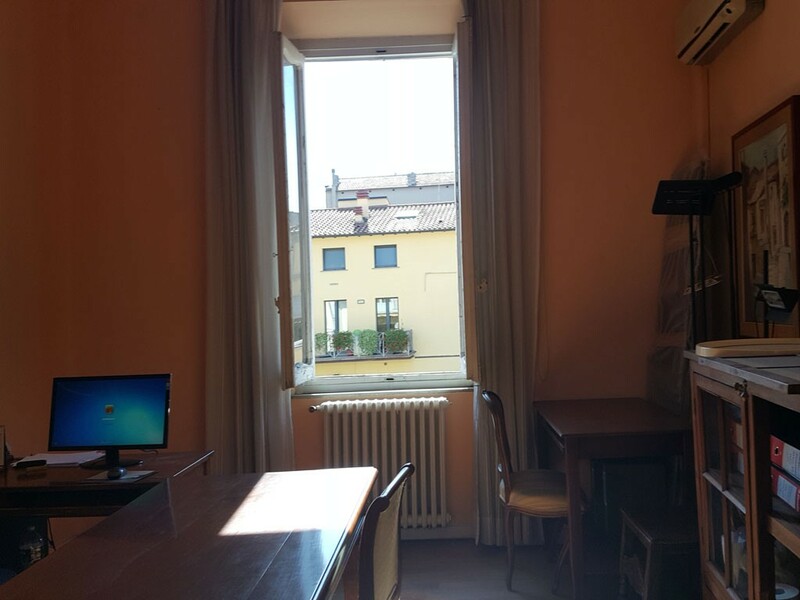 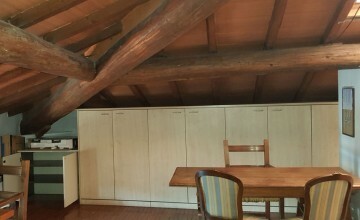 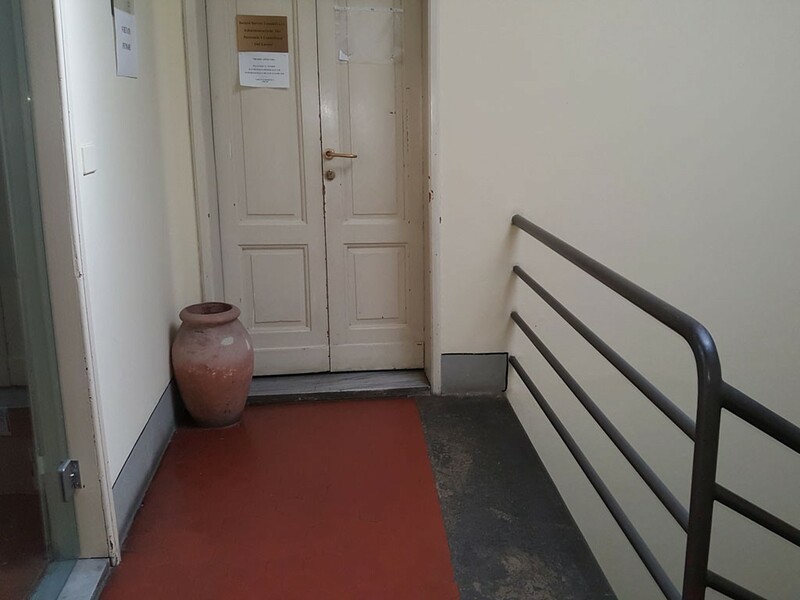 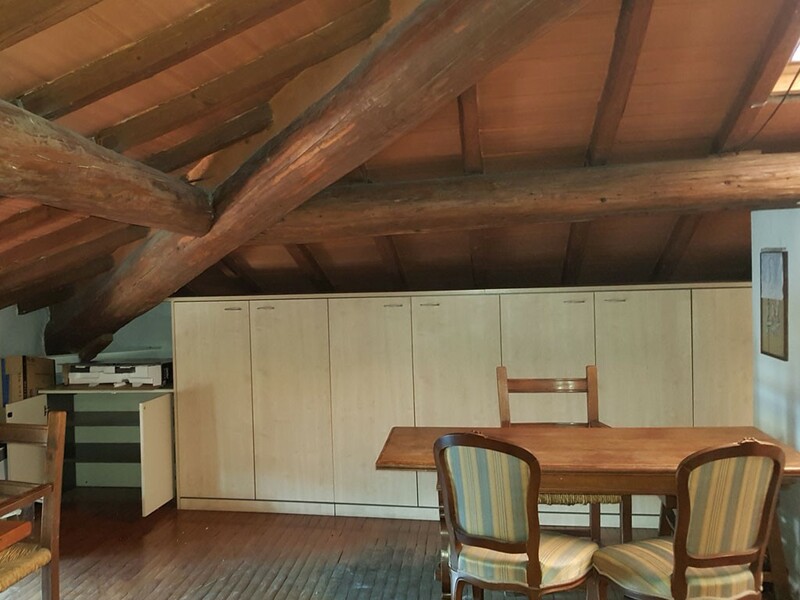 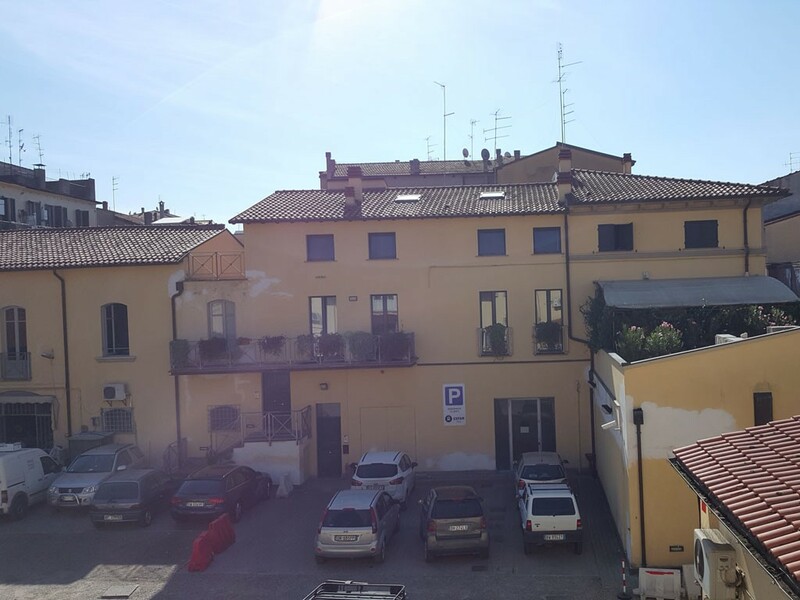 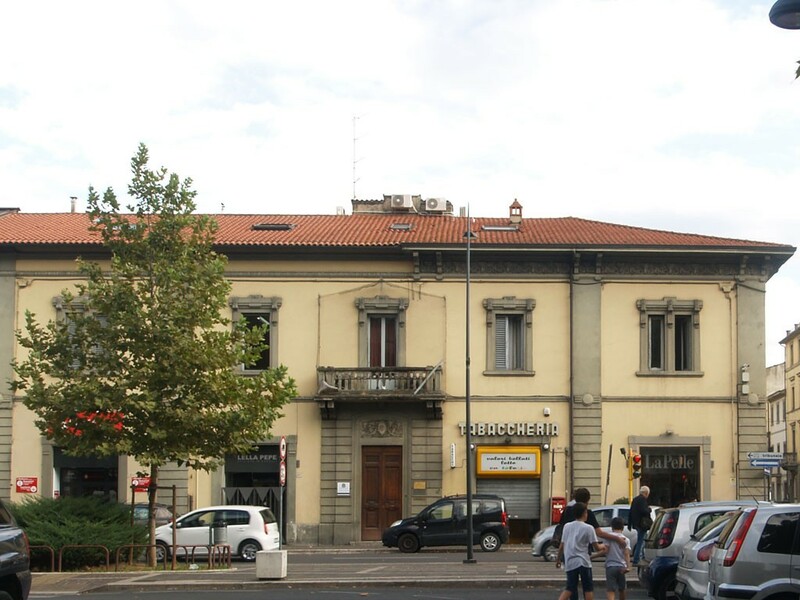 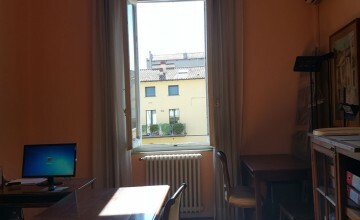 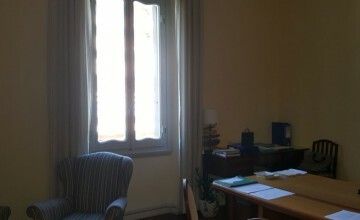 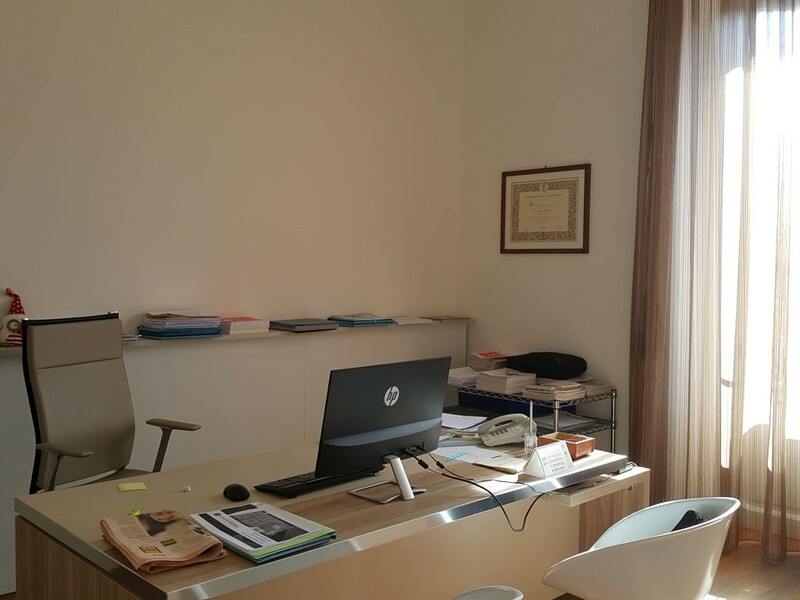 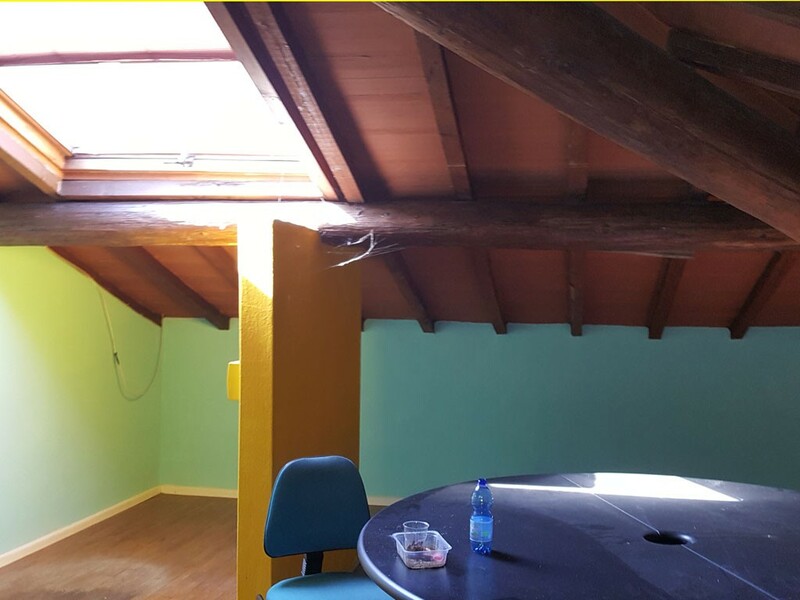 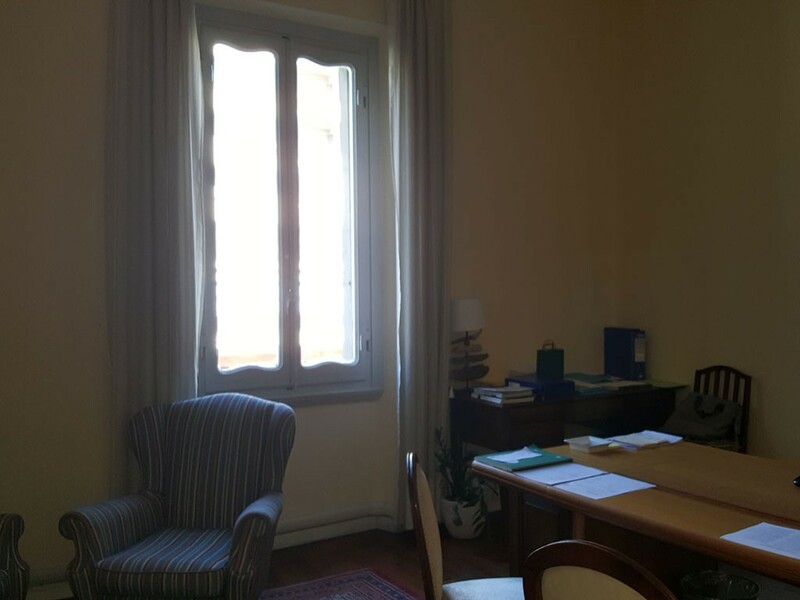 Conditions are very good and at present the property is used as offices, but given the central location, vicinity of the historic centre and railway station and of course the parking spaces, it could become a successful hotel or B&B. 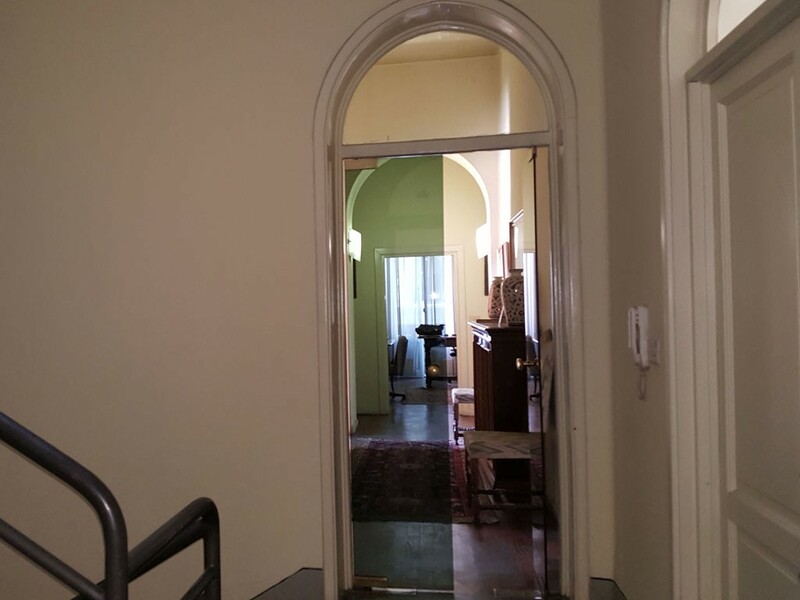 Asking price: 900,000 Euro with the possibility to sub-enter the mortgage and pay the rest in several instalments.